As a holiday cottage owner, it’s your responsibility to recognise and reduce potential fire risks at your property to protect guests from the risks of fire. If you’re new to holiday letting or haven’t already completed a fire risk assessment it can be difficult to know where to start. For this reason, we have created this useful guide on simple ways to ensure your guests are safe. It is a legal requirement? When it comes to the law, holiday cottages are required to comply with the Regulatory Reform (Fire Safety Order) 2005 . The law requires you to undertake a fire risk assessment, identify any potential fire risks and act on the findings to ensure the fire precautions are sufficient to protect guests. A holiday home owner was fined more than £10,000 for fire safety breaches. The case was brought by Hampshire Fire and Rescue Service following an inspection of the property. Charges included failure to: provide a suitable and sufficient risk assessment, provide appropriate means for giving the alarm in case of fire, protect the escape routes from the first floor of the premises and failure to ensure that a fire exit door could be easily and immediately opened in an emergency. The holiday let owner was fined £500 and ordered to pay £2000 in costs after Cornwall Fire & Rescue Service carried out an investigation after a fridge caught fire and a family had to evacuate the premise. They found that the holiday let had not been fitted with sufficient smoke detectors. The property owner was handed a six-month suspended sentence and ordered to pay £5,580 in prosecution costs and a £115 victim surcharge after ignoring fire regulations. The fire extinguisher that had not been tested in 15 years, there was no fire warning system as there were no batteries in the smoke alarms, the doors didn’t meet the standard for fire doors and there was no emergency escape lighting. There are plenty of companies who can carry out the assessment for you, at a cost of between £100 and £200. However, as the owner of the holiday cottage you are probably best placed to do the risk assessment yourself, identify and minimise risks. the measures you need to put in place to keep guests as safe. Identify situations in your holiday home in which a fire could begin. The most common causes of fires include kitchens (cooking), electrical appliances (overloaded or unsafe appliances), candles (left unattended or knocked over) and open fires/log burners (misuse). How will you keep guests safe? What fire-reducing actions can you implement to improve your fire safety measures as a result of issues highlighted in the assessment? Not all of these will be applicable to your property due to cost or practicality, but you should consider them when you next renovate your property. Your completed Fire Risk Assessment should be placed in a prominent place in the property for guests to read, ideally in the guestbook. It is there to help prevent fires during their stay and ensure that they are clear about what to do in an emergency. the emergency fire evacuation plan to ensure everyone leaves the property quickly and safely. where the fire blanket and fire extinguisher are. what are the fire risks in the property and user instructions (e.g. appliances, smoking policy, candles). Make a note of hazards and any actions you have put in place to minimise the risk. These should be communicated to anyone who is involved in running your holiday let e.g. your housekeeper or property manager. You should also keep the risks and measures under constant review e.g. 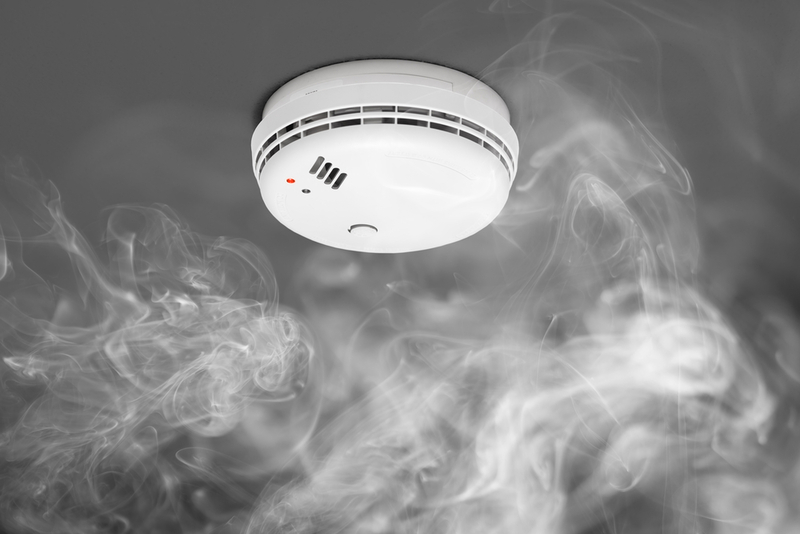 regularly test smoke alarms. Your fire risk assessment should include regular reviews to identify and highlight any potential issues that have arisen since your last assessment. For example, if a new firepit has been added, steps should be put in place to address the risks. Every cottage will have its own unique risks, but these examples and guides should help with your fire risk assessment. Government’s guide on complying with fire safety law: ‘Do you have paying guests?’ (see example risk assessment form page 10). Devon and Somerset Fire and Rescue Service ‘Fire Safety Guidance for Self-Catering Holiday Lets’. Did you know many fire and rescue services in the UK offer a free visit to identify the potential risks of fire in your holiday property. Here is a list of regional UK Fire and Rescue Services to contact. From experience, we know fire can have a devastating impact. A policy from Schofields is there to help you when you need it. Providing cover for damage, loss of rental income and alternative accommodation. Get a quote or contact us to discuss or comprehensive cover.